Seef Properties, one of the leading real estate development companies in the Kingdom of Bahrain, donated BD 15,000 to Shaikh Isa bin Salman Educational Charitable Trust Fund. The Vice Chairman and CSR Committee Chairman of Seef Properties, Dr. Mustafa Al Sayed, handed the donation to the representatives of the Charity, Ms. Mona Al Balooshi and Ms. Wedad Al Mosawi in the presence of the Chief Executive Officer of Seef Properties, Mr. Ahmed Yusuf. 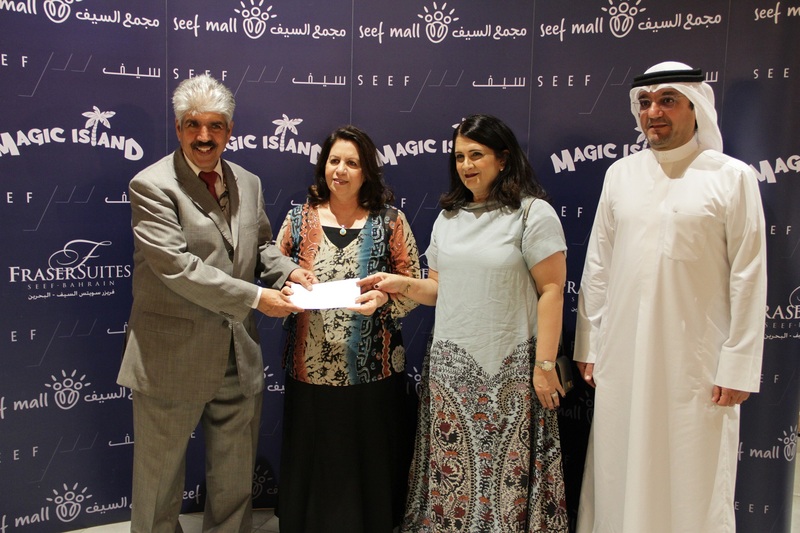 The donation comes in line with Seef Properties’ continuous efforts to contribute towards community causes that leave a lasting and positive imprint on the society at large.